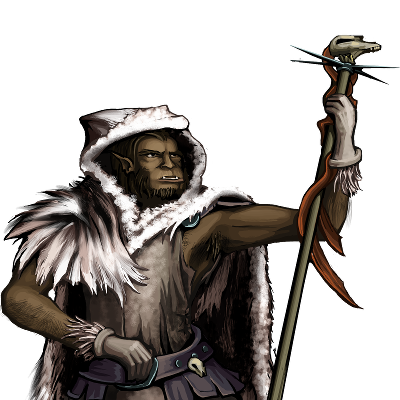 The Wanderers move from clan to clan, helping their hosts with esoteric arts not usually available to the orcish clans. They are also messengers of higher-level, inter-clan, messages. They are essentially diplomats and observers, and have learned how to deal with the ghosts that roam the northern drifts.